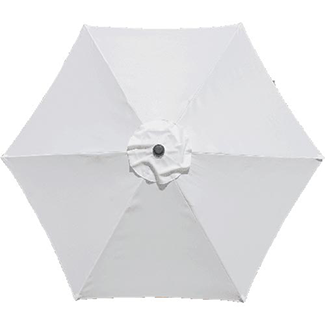 These Market umbrellas are great for any outdoor event. They provide a stylish reprieve from the elements. Easy to transport as they are light weight. 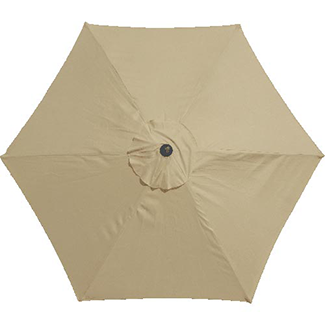 Umbrellas can be used with umbrella tables or stand alone. Fabric top is made of a washable Poly-Cotton blend. Made from light weight Aluminum frame. 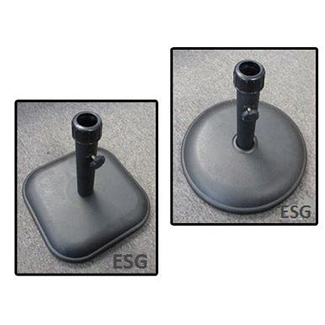 Top is removeable for easy cleaning. 24 lb. base, 14x14 - $28 ea. 27 lb. base, 16" round - $29ea. 35 lb. base, 18" round - $30 ea.